One of my New Year's resolutions is to have a go at making my own bread, but I haven't found the time yet to throw myself into it completely. 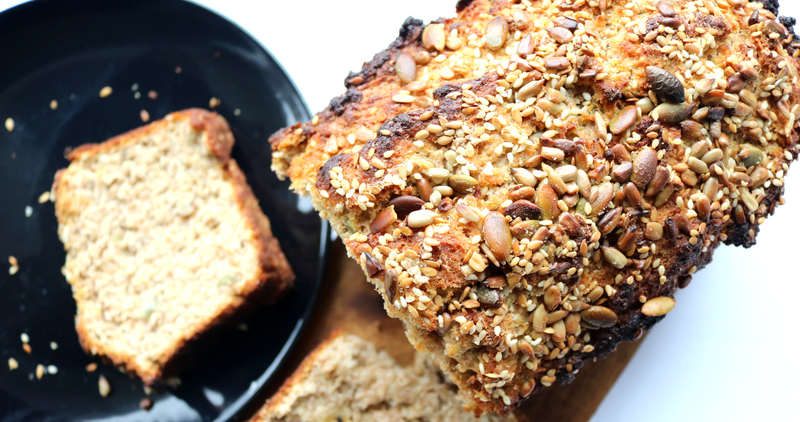 Instead, I've opted for a much quicker and easier Seeded Soda Bread recipe to try out this week, which is perfect for anyone who is busy or new to baking. Soda Bread is one of Ireland's national treasures. This age-old bread isn't something that you see often in the supermarkets here in England, but like so much packaged food, it's always better when you make your own from scratch anyway! Soda Bread is a wonderful 'quick bread' as it doesn't require any kneading or proving, feels more like you're baking a cake and it's ready in less than an hour. There are many recipe variations, with the two main ingredients being wheat flour and buttermilk. I'm sure there are ways that you could make this gluten-free or vegan though, but I decided to follow the food writer Elly Pear's Seeded Soda Bread recipe to see how it would turn out, and I'm pleased to say that the results were delicious! 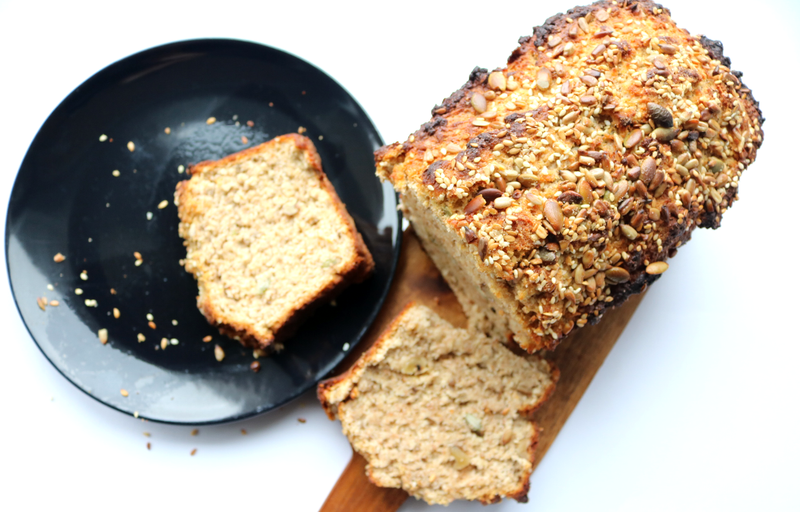 I love adding seeds and nuts to bread, and this is a great way to include some in your daily diet. It's very filling (one thick slice is usually enough for me) and would be perfect to have at breakfast to set you up for the day. 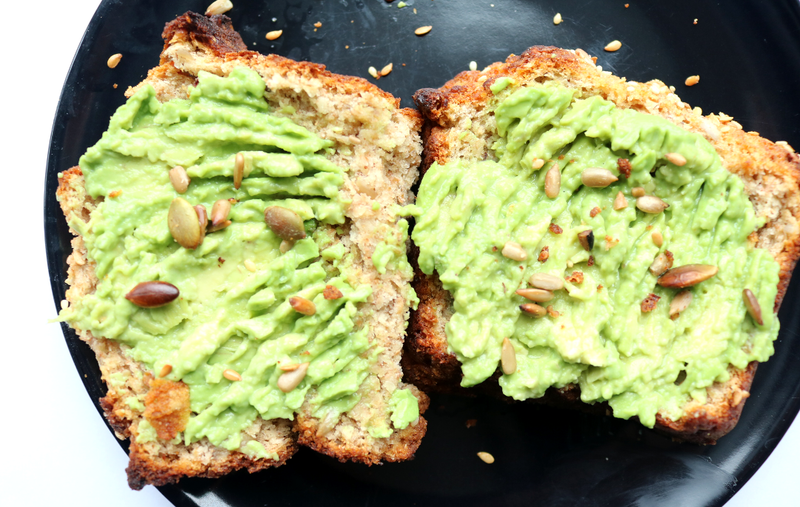 Try it with smashed avocado, poached eggs or slather on some nut butter! Budget tip: If you don't want to buy lots of bags of different seeds to make this, simply grab a single serve mixed seed pot instead. Aldi and Lidl shoppers can find them near the tills for a mere 60p and they contain all of the seeds mentioned in the recipe, except sesame seeds. N.B: I made one or two tweaks to Elly's original recipe as I swapped the Brown Sugar for Coconut Sugar, didn't use Poppy Seeds (couldn't find any! 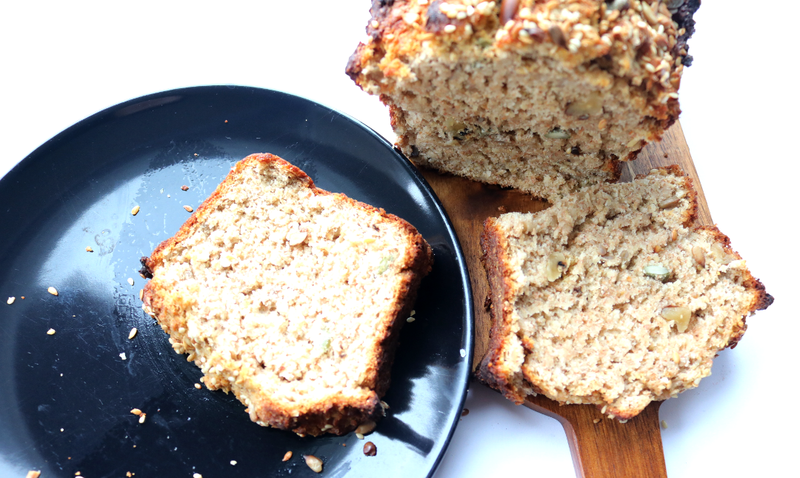 ), and I used all the other Seeds inside the bread and added extra for the top. Preheat the oven to 200C. In a large bowl, sift the Plain Flour and then sift in the Wholemeal Flour, making sure to tip in any bits from the wholemeal as you're simply aerating the flour and not removing anything. Add the Bicarbonate of Soda, Cream of Tartar, Sugar, all the Seeds, Walnuts and Salt and gently stir together. Make a well in the centre and slowly pour in the Buttermilk, mixing gently, but thoroughly. You'll get a slightly loose and sticky cake type of batter as a result. Brush the inside of a loaf tin with some of the melted Butter, and then pour in the mixture, evening out the top with a knife. Brush the rest of the Butter on the top. Sprinkle over some extra seeds if desired. Bake for 30 mins, then turn it around and lower the heat to 150C, and bake for a further 25-30 minutes until a knife inserted into the centre comes out clean. If the bread is starting to brown too much on the top at this stage, cover it in foil before returning it to the oven. Turn the loaf out onto a wire rack to cool and enjoy! Storage: Once cooled, this bread can be sliced and popped into freezer bags where you can keep it for up to 4 months (defrost at room temperature when you want to use it again), or store it in a bread bin for up to a week. What's your favourite bread to make at home?